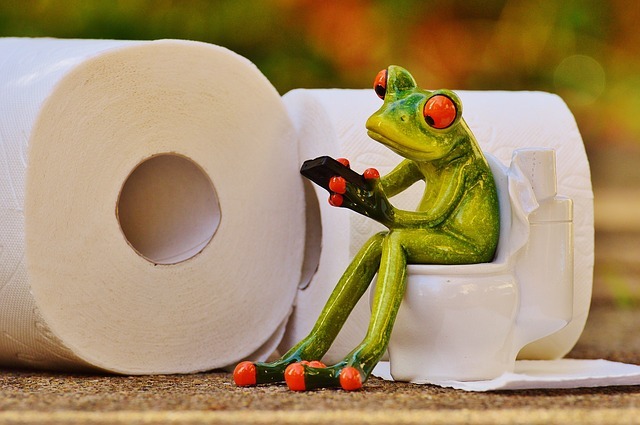 From time to time very nearly everyone will be faced with the problem of a blocked toilet, it is a very common though often rather unpleasant matter to be dealt with, so if you are unhappy about it you should leave it to an expert. However, if you are quite happy to tackle the task, you should find it relatively simple in most cases to solve the problem of a blocked toilet. Continually flushing the toilet is only likely to result in the pan overflowing and resulting in a flood of the room. If your toilet pan is already full of water you should remove some using a bowl or cup. If using a plunger, press down firmly, then pull upwards slowly until you hear the water escaping down the pipe. Pushing down and then pulling up will create suction inside the plunger head, which will draw out the blockage and encourage it to go down the pipe. Be prepared to plunge about a dozen times before the blockage clears. It is possible to use cotton yarn mop, these have a round head made up of a number of strands, you can place the head in a plastic carrier bag and tie it very securely. Although this is a riskier method and you do have to make sure that you do not exert unnecessary force, this can be used as a plunger quite effectively by following the same procedure as the plunger. Use an antiseptic cleanser if available to clean the plunger, if you use a mop you can turn the bag inside out and dispose of it. If you find that you have not been able to clear the blockage using the plunger, you can try using a wire coat hanger which should be carefully unwound first. By moving the wire back and forth using a circular motion, try to free the blockage.. If the blockage has not freed, it is wise to consider abandoning the DIY method and resort to calling in an expert. However, if you have a flexible cleaning tool you could try to dislodge the blockage with that. Push the flexible cleaning tool down until you feel the obstruction, try to move the tool around the edge if you can to dislodge it, but if it shows too great a resistance you should avaiod using force. Assuming that the blockage has cleared, it is safe to flush the toilet, but ensure that the blockage does not simply re-block further along the pipework. Pour some toilet cleaner, household bleach or disinfectant to clear and disinfect the bowl. In the event that all these methods have failed to unblock your toilet, there will almost certainly be a problem further along the soil pipe or in the drain run itself. Do not be surprised if your neighbours are suffering a similar problem. You will need to call out an expert plumber to deal with such a problem.